Couture Feather & Swarovski Crystal Earrings. Made with stamped Sterling Silver Ear Hooks. 15 cm long approx inc ear hooks (feather length can vary slightly). 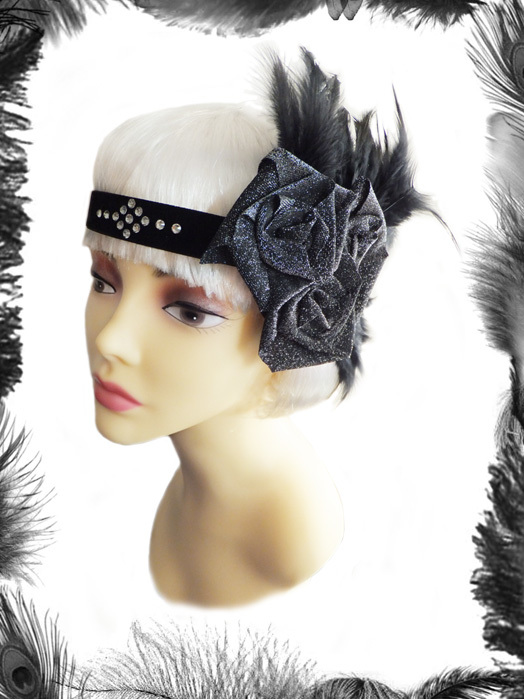 Available in black, white or red/black feathers. Please see the Countess Satin & Feather Opera Shrug page for red/black feather pic. Swarovski Crystals available in clear as pictured or red or black. Delivery - This item is made to order, normally despatched within 8 working days, but during very busy periods can take up to 10 days to be despatched. Please feel free to email us to find out what our delivery schedule is at the moment.